The most important consideration we have when planning a funeral, is arranging a service that best meets each family’s unique expectation. Many families embrace their loved ones passions, accomplishments and contributions… by having family and friends gather to pay tribute. Other families choose to celebrate a life in a less formal gathering… marked by greater personalization and diminished ritual. Still other families, choose a basic disposition. At Thompson Funeral Service we offer full service or basic burial and cremation. Whether your tradition involves choosing an appropriate casket, finding an exotic flower arrangement or securing a non-traditional venue… we can help you plan your personal choices. A traditional service follows a familiar pattern that families have come to expect. It may include a viewing or visitation, formal ceremony, use of a hearse to transport the body to the funeral site and cemetery, and burial or cremation of the remains. At Thompson’s, our traditional burial and cremation services are personalized to honor people of all beliefs, traditions and cultures. We offer clear choices for each stage of the funeral ceremony, and tailor them to meet the wishes of the family. Cremation is becoming an increasingly popular choice with families. In 1994, the cremation rate in British Columbia was approximately 70%. Today’s cremation rate is well over 85%. Many people choose cremation as a natural way to simplify the funeral process. They feel it still offers a meaningful and personalized way to pay tribute to the life of their loved one. 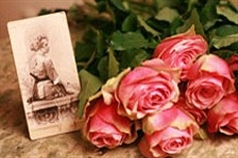 A Contemporary funeral service will usually reflect the unique life and personality of the person that has died. A contemporary service provides for personal expression and may sometimes be a statement of the changing values of our society. A Contemporary service is marked by a greater personalization choice of the family with diminished ritual. Green burial embraces the natural cycle of life. Choosing a green burial helps to renew the environment while allowing for a meaningful ritual based on environmentally friendly choices. It is a statement of personal values that ensures the burial site remains as natural as possible. 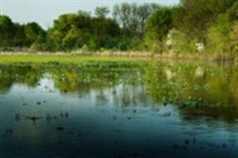 Green burial is an idea that is increasing in popularity. 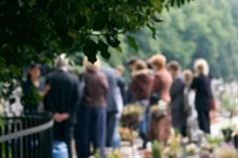 It does not take away the opportunity for a traditional or contemporary funeral service. It is simply another means of final disposition. Those who serve in the military may be eligible for special funeral and burial benefits because of their honorable service. Generally speaking, when a veteran is in receipt of benefits from Veterans Affairs at the time of death, the family is referred to a Veterans Affairs Canada office for possible Funeral and Burial Assistance. 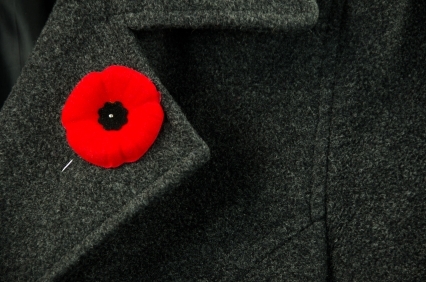 Assistance for veterans who are not eligible for Funeral and Burial Assistance from Veterans Affairs Canada may be available from the Last Post Fund. Traditionally, the Canadian Government has assumed responsibility for the burial of members of the Canadian Armed Forces who died during battle and, later, those who died as a result of war-related injuries. After a government review in 1995, changes were made to the funeral, burial and Gravemarking program to ensure the longevity of the program and to return the program to its original mandate of assisting Veterans who were without the necessary financial resources to provide for a dignified funeral and burial. The Last Post Fund is a non profit corporation dedicated to arranging for the provision of dignified funeral and burial services, including a military style gravemarker, to eligible ex-service persons who, at the time of their death, meet the wartime service financial eligibility criteria. The Last Post Fund operates in cooperation with, and is supported financially by, the Government of Canada through Veterans Affairs Canada. As you can see, there are many different ways to bring family and friends together to commemorate the life of a loved one. You are limited only by your imagination. Like graduations, weddings, work promotions or retirements… all serve to recognize a significant event in a person’s life. A detailed list of choices is available from your director. Regardless of your choice economic, religious and cultural preferences always come first. At the end of the day, we feel our job is to honor your loved one while helping you say goodbye.